Many people think of Japan as only a big city with modern architecture, flashing neon lights and the quirkiness of the things to do in Tokyo. But, with 47 prefectures (they are like provinces or states) and over 6,000 islands there is much more to explore in this diverse country. Aomori prefecture is one of them! The Tōhoku region in the northeastern section of Japan has 6 prefectures itself. On my last trip to the area, I spent time delving into all the things to do in Sendai in the nearby Miyagi prefecture, this time it was all about pretty Aomori. Aomori is known for its production of delicious apples (you’ll find tasty apple products everywhere), sake and fresh seafood. Beyond that, it is considered by many to be one of the most beautiful and serene places to visit because of its abundance of natural landscapes. 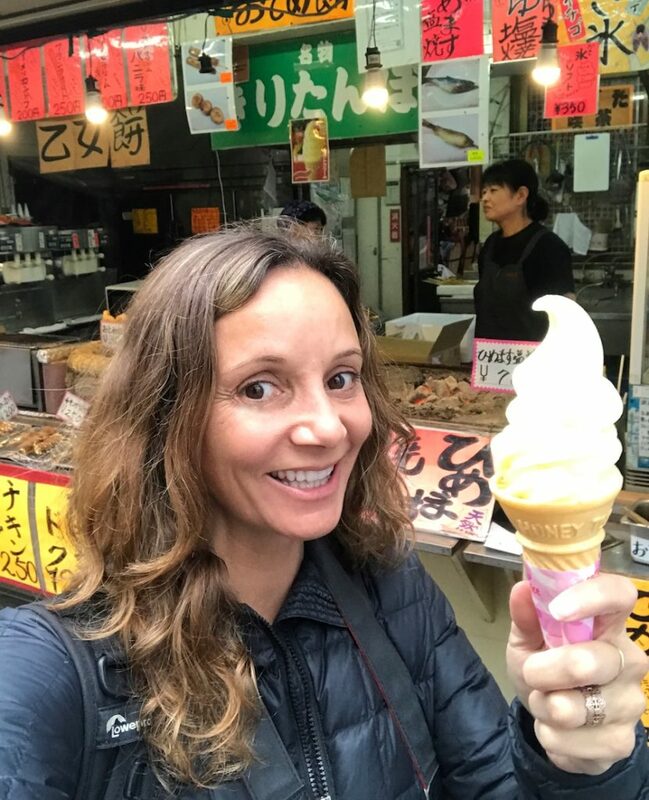 Here is a short list of my favorite bucket list things to do in Aomori, Japan. The Oirase Gorge is arguably the most beautiful river valley in all of Japan, and that’s saying something – this country is breathtaking. Running 14km (8.6 miles) between Nenokuchi and Yakeyama on the shores of Lake Towada, the stream follows a gentle gradient of about 200m with a charming rest area (Ishigedo) at the center of it all. Hiking the easy 14km path that lines the stream is an absolute must in the Tōhoku region. The gorge is marked by interesting rock formations on both sides while the river has icy rapids and a series of 14 plunging waterfalls along the way. 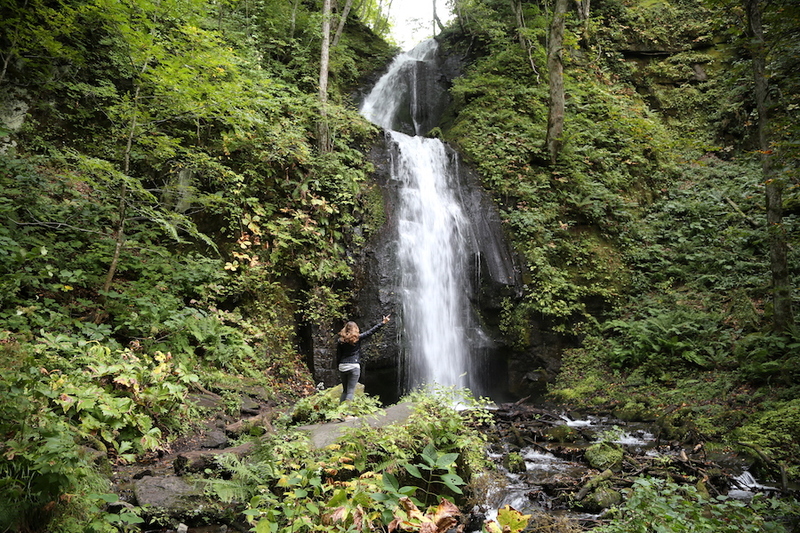 On our hike, we grabbed some magnifying glasses to take a closer look at the numerous types of moss and made a pit stop at one of the best falls, Kimoi-no-taki. If there’s only one thing you do in Aomori, do this. It really is a nature lovers paradise. Bonus if you come during the fall—the entire area is within a deciduous forest that comes to colorful life during autumn. The Oirase Keiryu Hotel provides a great Stream Exploration Map Here. And it’s the perfecti starting point for the hike. Every summer, in different towns around Aomori, there are lively festivals held featuring parades of enormous lantern floats, musicians, dancers and large taiko drums. The largest one of these festivals is called Nebuta Matsuri and it takes place in the month of August in the city of Aomori. 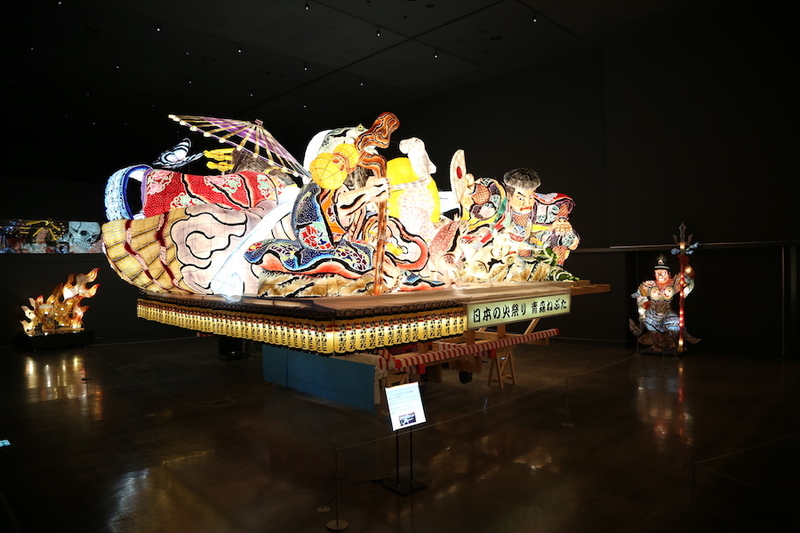 If, however, you miss this stunning spectacle, the next best thing is to visit the Nebuta House “Wa-Rasse” Museum. It is only a 5-minute walk from the Aomori Station and is a cultural center like no other in the region. Inside, you will find massive illuminated floats that were used in the parade. You can even try your hand at making a portion of a float on your own by applying rice paper to a small section. If the timing is right, visitors can also watch a traditional flute and drum performance. You may even get selected to pound on the drum! 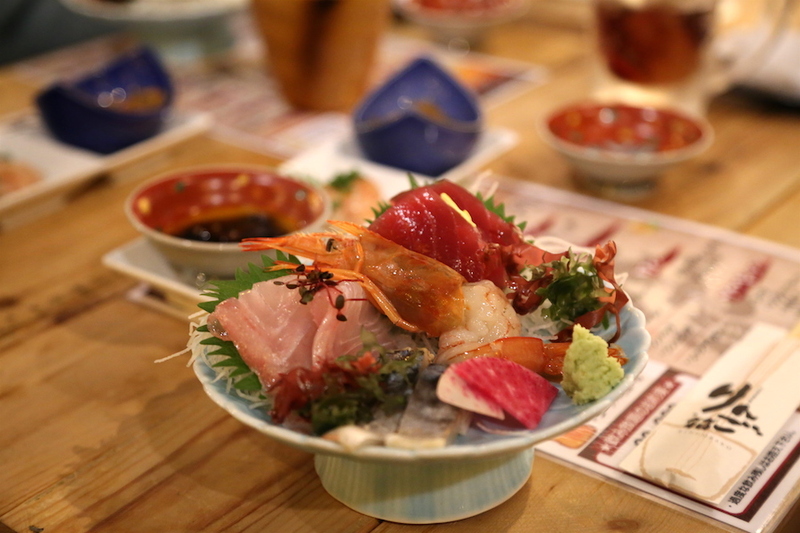 If you get hungry, there is a seafood-buffet restaurant right at the Nebuta House “Wa-Rasse” Museum. Japan is well known for its hot springs and the onsen (public baths) that surround them, they are definitely a big part of the Japanese culture. People believe that if you get sick or have a cut then you just take several soaks to get cured. 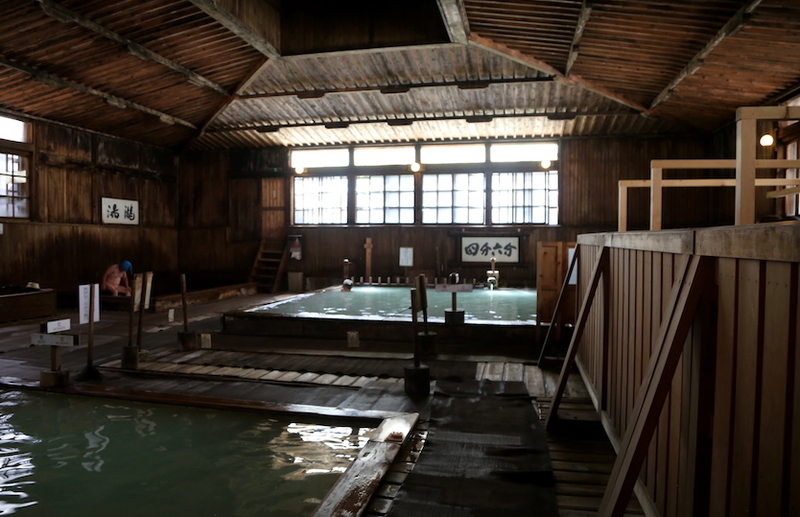 In the Aomori prefecture, Sukayo Hot Springs & Onsen is one of the best known. 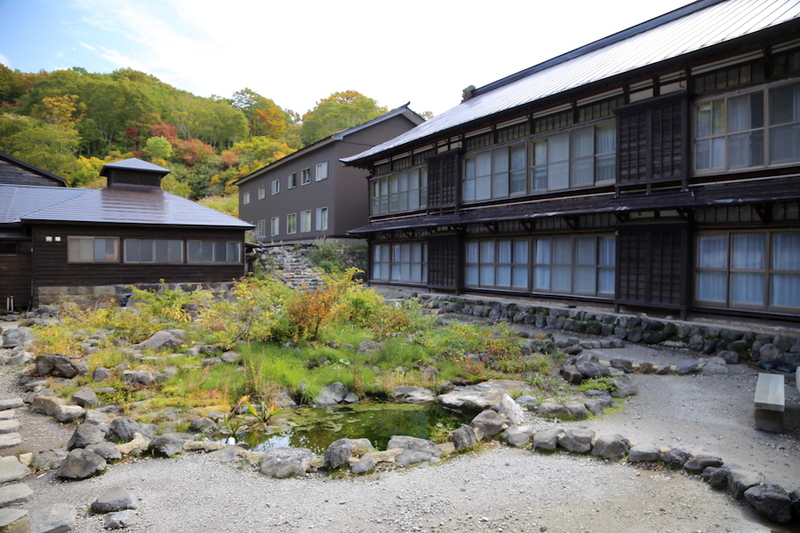 The hot springs at Sukayo Onsen has been around for over 3 centuries and is surrounded by the beauty of nature located at the bottom of Hakkoda Mountains. The onsen here is known for its “Sen-nin-buro” or “1,000-person bath”, one of the few mixed gender baths that still exist in Japan, where men and women, young or old come to soak together in the name of healing. Known to be a source of good health and a healer of many different ailments, the natural warm water is also very relaxing. (十和田湖, Towadako) or Lake Towada as you and I would call it is the largest caldera lake on Japan’s main island – Honshu. It is a tremendously scenic location with two large peninsulas jutting almost a third of the way across. It is also one of the most popular locations for those who want to marvel at autumn colors. The lakes eastern shore, along Oirase Stream, is Japan’s most popular spot for autumn foliage lovers. The best way to see all of this is by taking a boat tour of the lake. There is a leisurely and basic tour aboard a larger boat, which is fine. But, if you want to kick up the adventure a little bit then take a speedboat ride with Guriland instead. 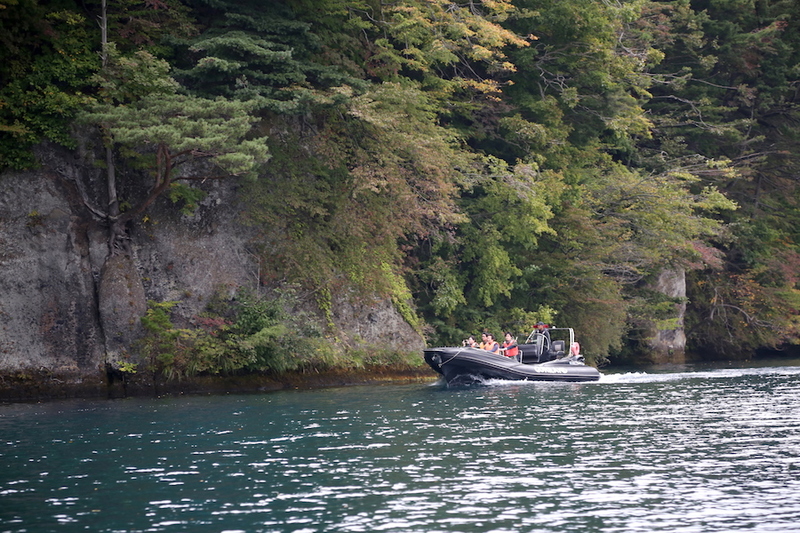 The thrilling boat tour last about 50 minutes and takes you closer to the lakeshore and cliffs than the other option. Ahhhhhh….Sake! You simply cannot visit Japan without trying out some of this traditional alcohol made with fermented rice. You will not be hard-pressed to find this beverage in Aomori, almost every restaurant and bar will serve it. The best and most fun way to drink it is to stop by a lively izakaya (an informal gastropub) for a glass with some Japanese fare—try Izakaya Fukuro or Ringobako. 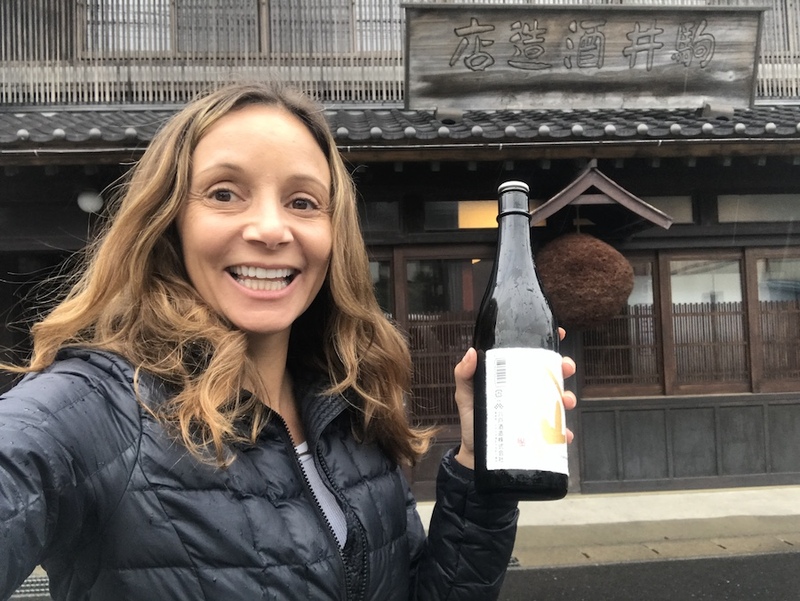 If you want to do more than just drink sake, maybe learn a little something about the brewing process, then you could also go to Hachinohe Shuzo Sake Brewery for a simplistic tour and tasting. The brewery dates all the way back to 1775 and is one of the regions most respected brewers. 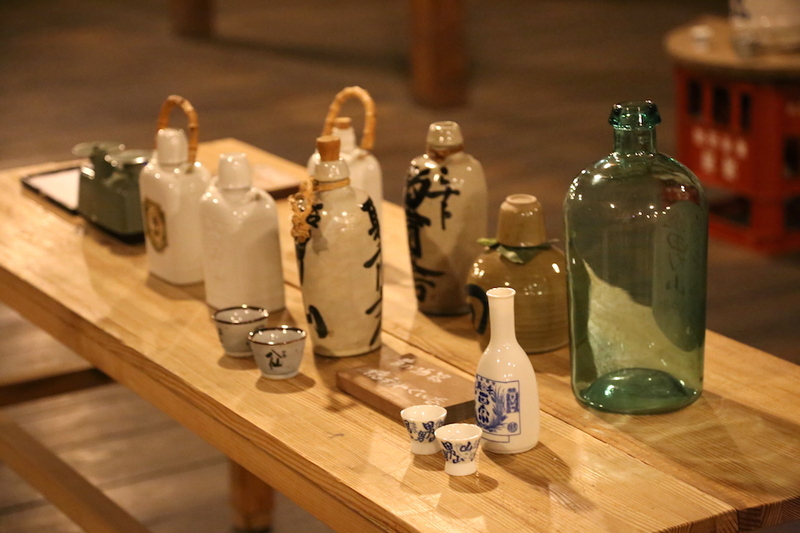 You can take a short tour of the brewery and of course, have a Sake-tasting session while you are at it. From the beginning of February to the end of March the city of Hachionohe has many more visitors than any other time of the year. That is because it’s Festa season where people travel for miles to indulge in the cities well-known seafood dish—Hachinohe Bouillabaisse. During this time over a dozen restaurants put their spin on this classic French-style fish stew. There’s only a couple of rules, but the most important one is that they must use more than four types of fish in the dish. 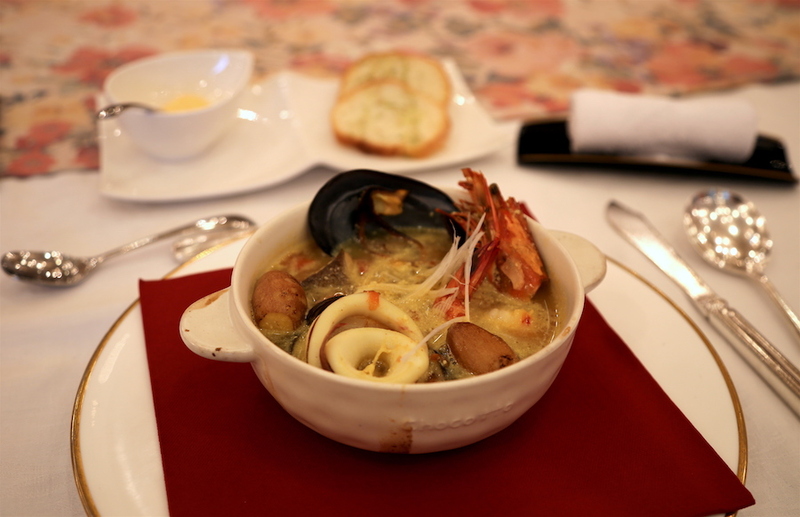 At Hachinohe Park Hotel, where I ate a piping hot bowl of Bouillabaisse, they use EIGHT different types of seafood, including cod, scallop, squid, shrimp, clams, etc. Though you typically can only find this dish in the two months mentioned, it is possible to request it beforehand at some of the restaurants during the rest of the year. The Japanese love them some corn (me too—one of the many reasons I adore this country!). They eat it in dozens of different ways. Actually, one of the of the quirkiest Tokyo foods I had was a can of warm soup that I bought from a vending machine. 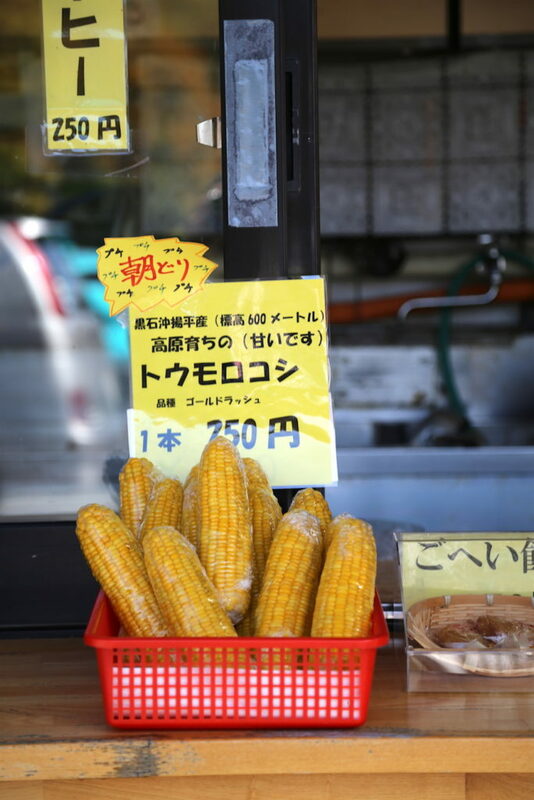 In Aomori, they seem to be very fond of it in the form of corn on the cob. You’ll see it cooked and wrapped in plastic wrap at just about every food stall in the prefecture. Do yourself a favor and get some! I’m not sure what makes these cobs so sweet and juicy, but they are. 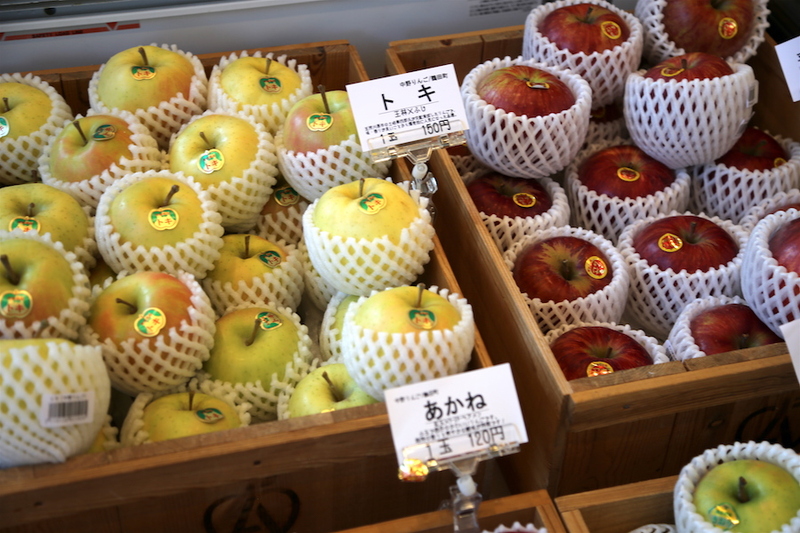 Aomori is renowned for producing the most apples in all of Japan, about half the apples in the country are made here! So, it would be a shame to not indulge in the fruit in some way while traveling about this prefecture. Stop by the little food stall near the lake in Towada City (near the Statue of Maidens) to get a delicious apple soft cream cone. Or go to Oriase Keiryu Hotel’s restaurant and have their extravagant buffet that pays homage to the apple by featuring it in many of the dishes. 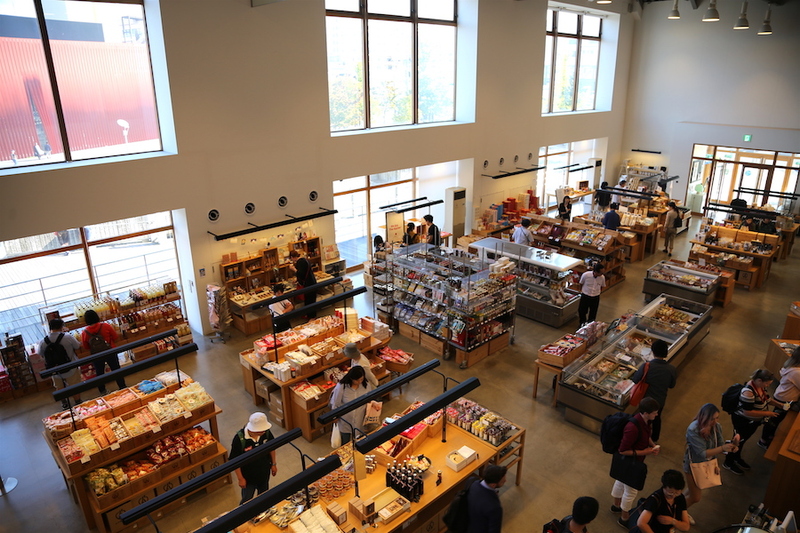 For oodles of apples all under one roof, head over to A-Factory (next door to Nebuta House, see #2). This is a huge warehouse-like space that is dedicated to the apple. You can find them fresh, dried or even in a candy bar (my favorite!). Plus, upstairs you can have a self-serve cider tasting by loading up your card with some yen then heading over to the dispenser where you can try a handful of alcoholic apple ciders. Find your favorite, then go downstairs and buy a bottle. 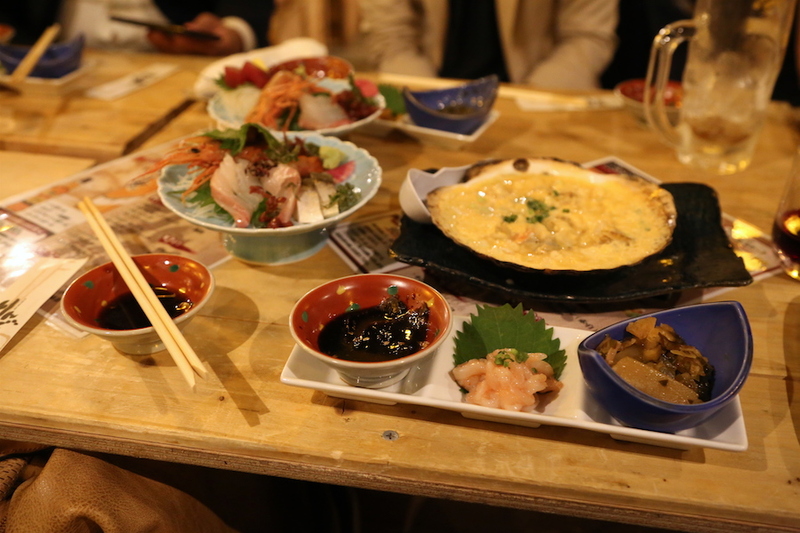 Izakaya’s are informal Japanese gastropubs, and what could be more fitting than to dine at one in Aomori whose name means Apple Box (remember that Aomori is known for being the number one apple producer in Japan?). Ringobako is a basement restaurant that specializes in local dishes (including horse, if you are an adventurous eater!). If you are a seafood lover looking to enjoy some of the best, most authentic curried scallops, matsumae (pickled herring), sashimi and some good old local ale, then dining at Ringobako is a must. Plus, it’s also a great place to check drinking some Japanese sake (see #5) off your Japan bucket list. The Restaurant also has two tradtional Tsugaru shamisen musical performances a day (12:45 & 7:00pm). Read More: What is Tsugaru Shamisen? You typically won’t find any of those fancy sushi rolls in Aomori that you can find in America (no Dragon or Rainbow rolls filled and topped with lots of stuff besides seafood). Here there is simplicity, the concentration is on the fish. A slice of freshly sliced fish on top of a perfectly formed rectangle of sticky rice. It won’t get much fresher than that. 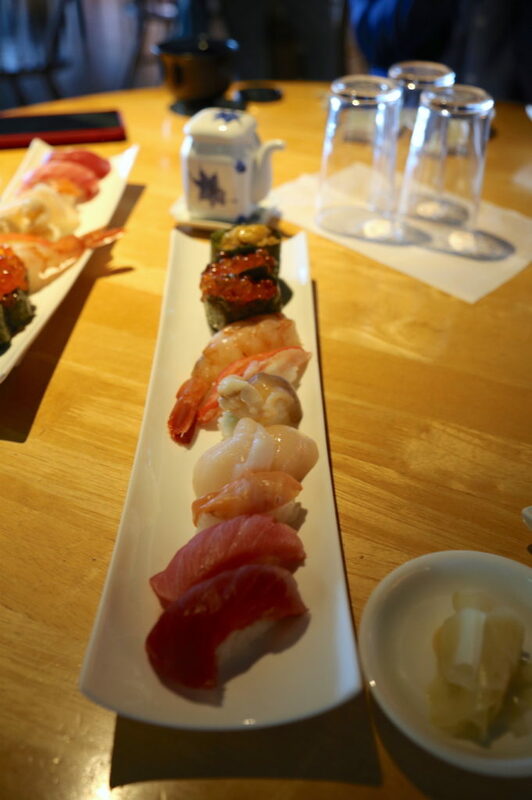 You can get sushi and sashimi just about anywhere, but stop by Ippachizushi or Daikoku Zushi for some of the best. A ryokan is a traditional Japanese inn and Sukayo Onsen is one of the classic ones with tatami mat rooms and communal bathrooms. 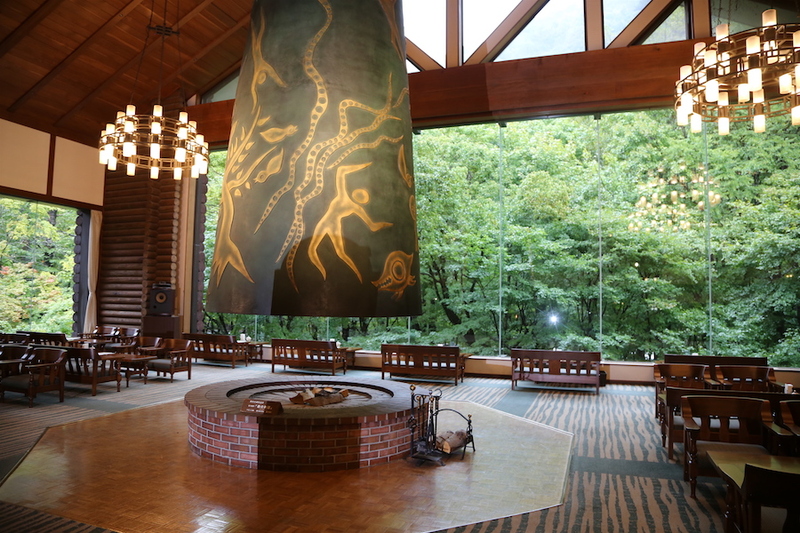 Its beautiful location near the Hakkoda mountains, the hot springs and on-premise onsen are all a big draw. Plus, it is surrounded by hiking trails. Plus, right out front is a food stand where you can buy a piece of that corn on the cob I was talking about (see #7). For a more modern-style ryokan, rest your head at the place that I stayed, Oirase Keiryu Hotel. 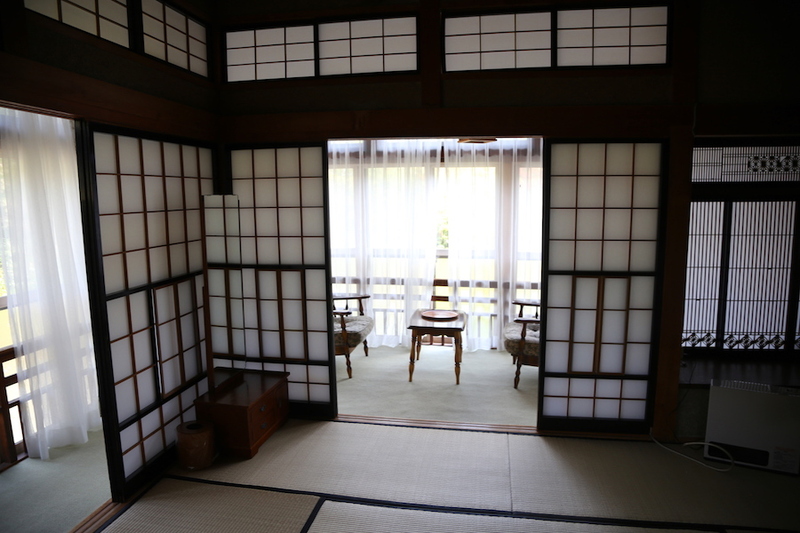 The large rooms are lined with tatami mats, so you must remove your shoes before entering, but this just adds to the experience. 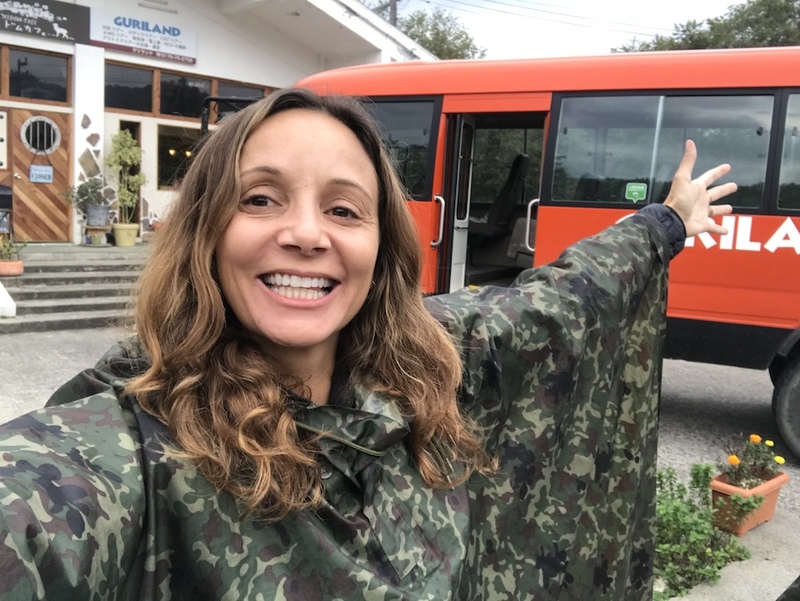 This is an authentic hotel with mostly Japanese patrons and very little English is spoken, but their hospitality will make you feel so welcome. Oirase also offers a shuttle to the nearby open-air bath that has spring water from Hakkoda. All this and you haven’t even visited the Seiryu-ji Temple grounds; a location so serene you will find yourself meditating on past lives you didn’t even know you had. You could also decide to trek up Hakkoda Mountain where you will learn about the history of Hakkoda-san and the tragic tales of Japanese soldiers on this mountain. While you are up there, you could ride the Hakkoda Ropeway and get breathtaking views of the mountain on your way down. On your way out, you could visit the Aomori Bay Bridge; a spot so romantic it is practically just for couples. The point is, there are just too many things to do, see and experience in Aomori, Japan. My trip to Aomori, Japan was hosted by the JNTO. All opinions my own. I am coming to Chicago next month, and am wondering what the best location for me to stay would be. 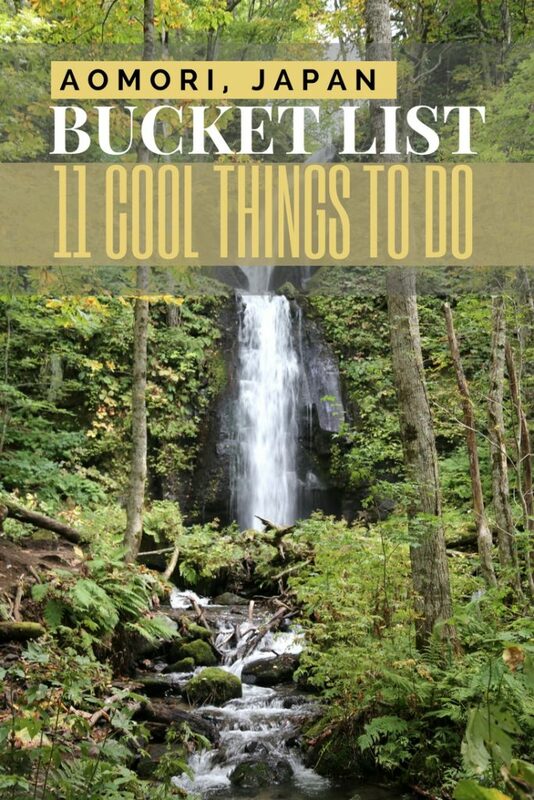 I will definitely add a few new things to my bucket list after reading this post. Will definitely eat each sushi I’d see there! I love Jap cuisine and Im pretty sure we only got just a few of them in the US. How’s it gonna be like eating authentic Japanese cuisine in Japan itself! Im so excited. And I want to relax while in the plane on my way there so I booked business class via Japan Airlines. Of course I used my points for that! Lovely article with plenty of food for thought – another one for the wish list! I spent 3 weeks in the Northeast area of Japan and it was breathtaking. I agree that most people only think of Tokyo when they think of Japan. I would love to return someday. It’s my dream to explore the entire country! It has so much to offer.